Dr. Gerard Jellig has taken notice to several recent educational trends pertaining to school safety, technology, and preparing students for college and other forms of higher ed. Jerry Jellig is here to share some of his thoughts on these topics in this latest blog. When it comes to school safety, a very hot-button topic at the moment, Dr. Gerard Jellig is a proponent of diligent preparation and emphasizing “muscle memory” protocol in schools. When it comes to school violence, the one constant connection Jerry Jellig sees is a small group of disgruntled students who feel disconnected or disengaged from the rest of their classmates. As someone who has worked as an educator and administrator for many years, Dr. Gerard Jellig believes the first step to cutting back on school violence is having a better understanding of mental health issues that affect our students. Jerry Jellig calls for the educational system to be more proactive in its approach to combating this ongoing issue. As far as technology is concerned and how it has helped shape education in recent years, Dr. Gerard Jellig says he has seen “the good, the bad, and the ugly.” But Jerry Jellig believes that we are currently in a state where technology is doing more good than harm in terms of helping children learn. However, Dr. Gerard Jellig cautions that it is up to us, the learners and consumers, to figure out what kind of educational technology is worth investing in and which is a waste of time and money. 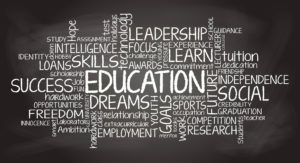 Because of an added emphasis today on web competency, digital competency, and coding, there are many technology organizations that are heavily invested in education. As long as they can continue to make products that effectively find ways to transfer learning, Jerry Jellig is more than OK with this trend. Dr. Gerard Jellig has also picked up on the fact that the value of a college degree doesn’t seem to be as much as it used to be. He believes this is directly related to the spiraling cost of college tuition and a lack of self-awareness at 18 years old. College has become a very expensive avenue of education and it’s certainly not for everyone. But Jerry Jellig questions whether or not our educational system is doing enough to help kids make wise decisions about their future rather than steering them in a certain direction or path based on test scores. The average earnings over a lifetime for those who have obtained a college degree and those who haven’t speaks for itself, but there are other career choices and routes to college that Dr. Gerard Jellig believes are better suited for some.